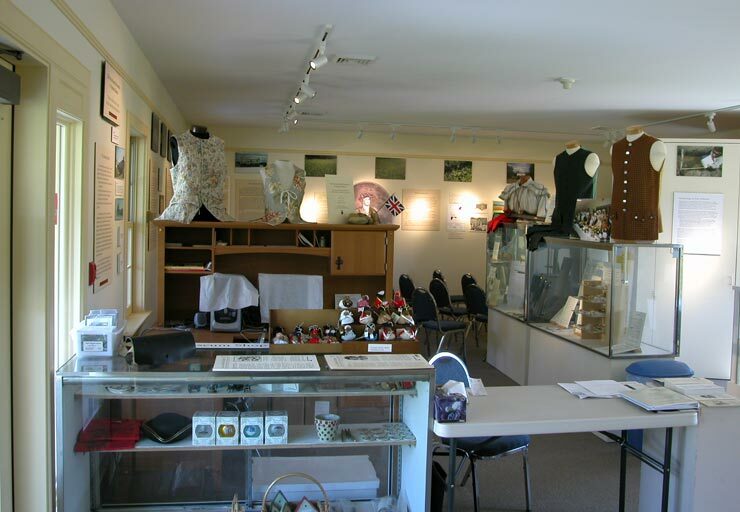 These photos are from various dates, so they do not show exactly what the Visitor Center looks like at this present time. You need to come for a visit to see what we have now. 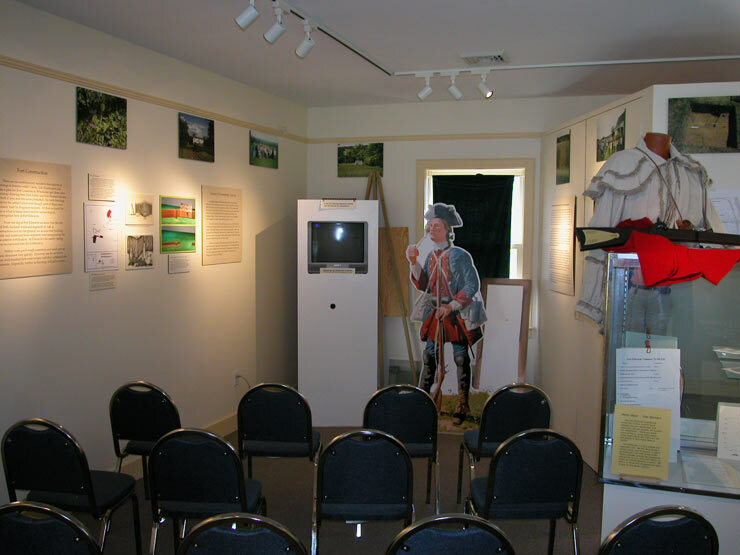 below is a view of the video presentation area guarded by the "Virginia Blue,"
a lifesize enlargement of an original oil painting by James Lancia. 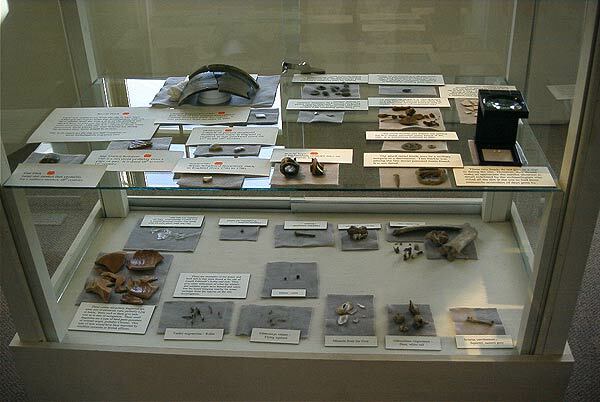 Above is one of the artifact display cases that shows what we found during our two archaeological digs. 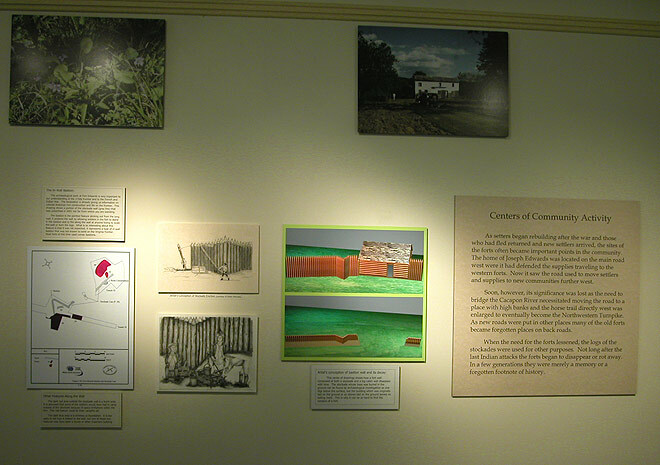 Below is a look at some of the displays on the walls.